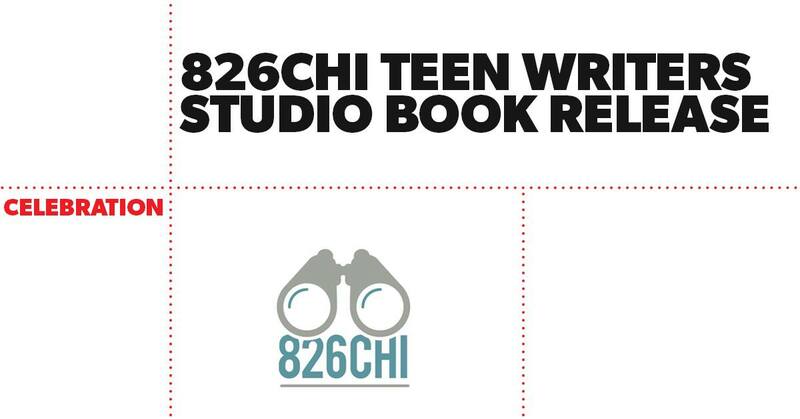 Join 826CHI students, staff, volunteers, friends, and family for the release of the annual Teen Writers Studio chapbook at the Poetry Foundation. Throughout the school year, members of the Teen Writers Studio meet at 826CHI to practice writing and explore their personal styles. Professional authors visit to lead workshops, share their experiences as writers, and introduce students to a variety of genres. Students explore literature and writing across the rich cultural landscape of Chicago, attending live lit events and Chicago Ideas Week talks. This chapbook is the culmination of all of that hard work and growth, and cause for celebration. "I Will Hold You Like a Bible," inspired by the work of Danez Smith, Hanif Abdurraqib, Britt Julious, Jhumpa Lahiri and Chicago's own Megan Stielstra, is full of original stories and poems crafted by the high school writers of Teen Writers Studio. This thoughtful publication explores themes of identity, relationships, connection, and the world as the authors see it.